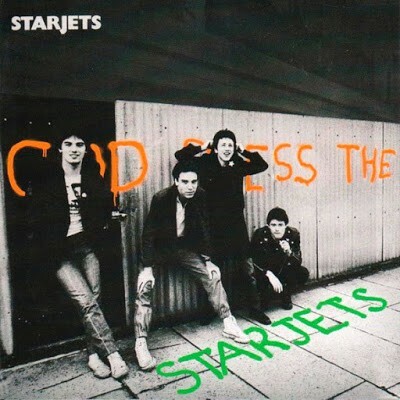 Today we come to a nice Powerpop/Punk band which were formed in Belfast 1976 by Terry (vocals + guitars), Paul (guitars), Sean (bass) and Liam (drums) and they released a bunch of 7Inches and this awesome album at Epic: the Starjets. They supported Bay City Rollers and Stiff Little Fingers and because of their amiable style they were labelled “the Bay City Rollers of punk”. I think this is enough info and I’m not in the mood to write more except this album deserves your attention. 1983 the band disbanded due to musical differences and Terry formed with Pat Gribben the Adventures in the same year. Captain Oi! released a compilation with twenty-one songs in 1999, I think a good investment.